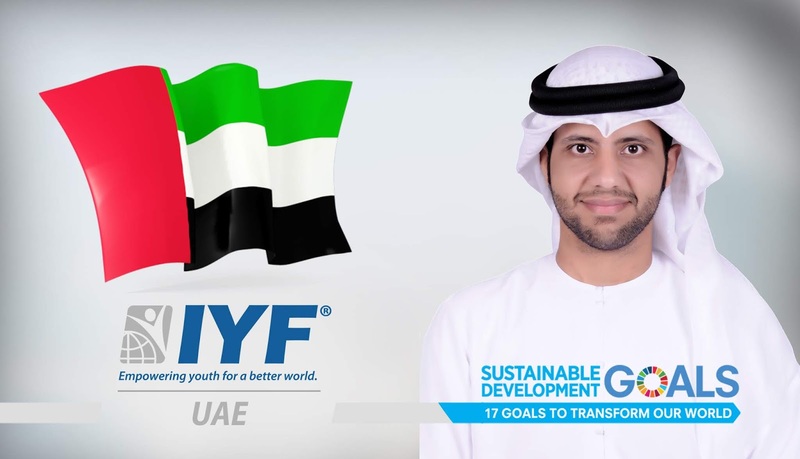 London, United Kingdom: In a statement issued today, the International Youth Federation announced that The United Arab Emirates had gained the permanent membership of the International Youth Federation. Our vision at the IYF is to enable young people in The United Arab Emirates to get their voices heard, and to give talented and motivated young people the opportunity to acquire the skills and knowledge needed to actively contribute to the development of their societies. Mr. Mohamed is a young leader, engineer, and Emirati Professional Volunteer. He is seeking volunteerism as a lifestyle. Mohamed is the Founder and President of the Emirati Marshals Programme, the First Professional Sport Voluntary Program in the World. He was awarded in many Youth Awards, such as the Best Volunteer in World in 2012 by International Federation of Motorsport (FIA) and the UAE Youth Award in 2015 by the General Authority of Sport and Youth. He is also a certified trainer in the field of youth leadership by the Cabinet office of Japan Government and the United Nations. Mr. Mohamed holds a bachelor’s degree in Civil Engineering from UAE Higher Colleges of Technology.